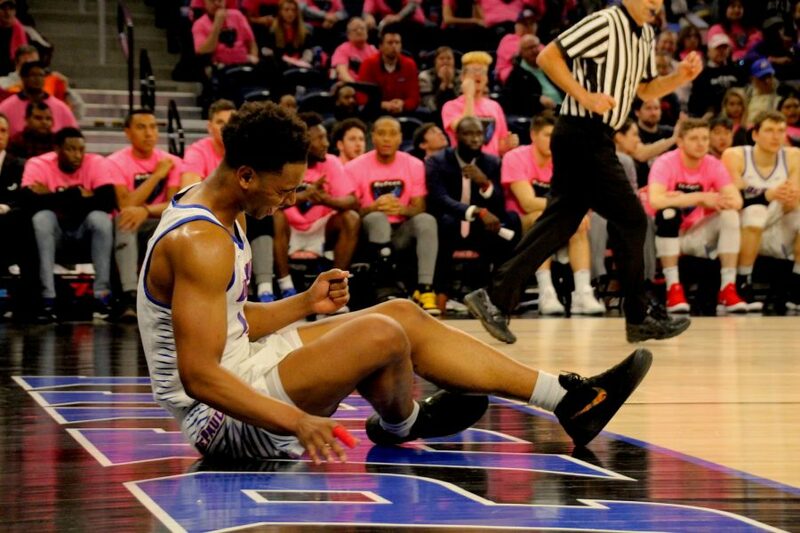 Another sluggish start cripples DePaul in loss to Butler. 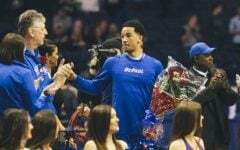 A sluggish offensive performance Saturday from the DePaul Blue Demons played an integral part in their 79-67 loss to the Butler Bulldogs at Wintrust Arena. 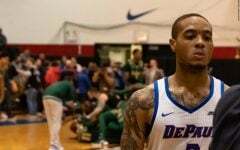 The Blue Demons shot just 35 percent from the field and the shooting woes began fairly early. 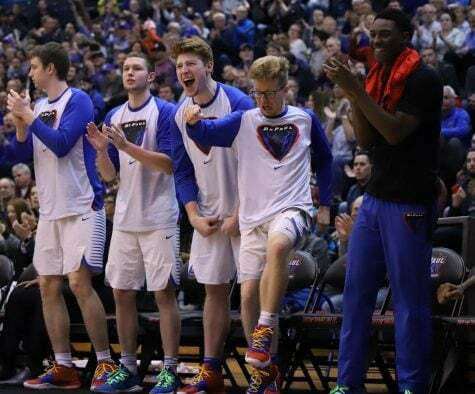 There was essentially a lid on the basket for the Blue Demons, as they scored only 19 points in the first half on 27.6 percent from the field, including not converting on a handful of their free throw attempts. Late in the half, both guard Eli Cain and Peter Ryckbosch, as they each missed pairs of free throws along with a missed free throw from the streaky shooter Max Strus. 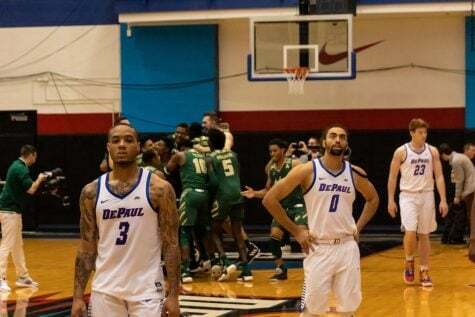 Unfortunately for the Blue Demons throughout the entire game, the offense looked rather confused without much ball movement and a lack of aggression in getting to the free throw line. 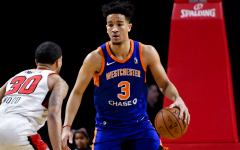 Coming into the game converting only 73 percent of free throws as a team, they shot a less than impressive 71.4 percent from the free throw line during the game. 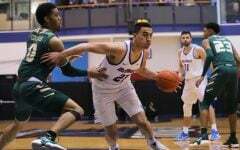 While Strus had a hiccup at the free throw line early on, he concluded the game as the Blue Demons’ only glimpse of success, utilizing his 6-foot-6 shooting guard frame to lead the team with 27 points on 8-of-17 shooting overall including a solid 5-of-11 shooting behind the arc. Even though Strus’ offensive performance was stellar, it didn’t matter to him once the game was over. Other players for the Blue Demons struggled mightily. Eli Cain, starting point guard, lacked an offensive rhythm and shot 5-of-13 from the field. In other words, fluidity on offense was nonexistent for Cain. Cain found himself taking numerous low-percentage perimeter jump shots and forcing up wild drives to the rim that were heavily contested by the Bulldogs. 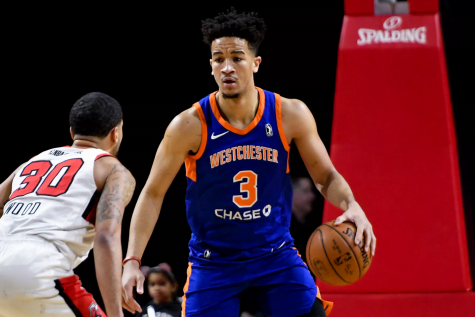 Equally woeful, Tre’Darius McCallum and Brandon Cyrus, also starters, combined to shoot an underwhelming 4-of-18, or 22.2 percent from the field. 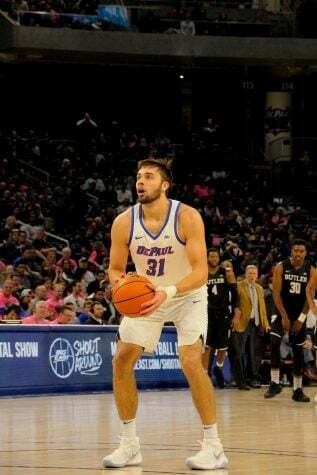 Peter Ryckbosch, a sixth year non-scholarship player for the Blue Demons who’s had an injury plagued college basketball career, and freshman guard Justin Roberts, missed both of their shot attempts. Joe Hanel, also a non-scholarship player, missed his sole shot attempt. No matter the opponent and especially in the Big East conference, poor shooting isn’t going to leave any head coach content. DePaul head coach Dave Leitao now in his third season in the role, discussed that his team needs to continue practicing to improve on the offensive end. “We’ve got to keep working at it, especially make able shots,” Leitao said. 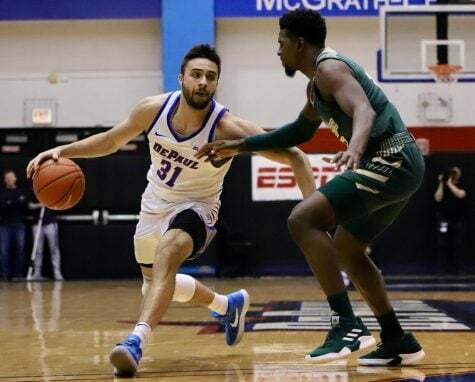 Not to mention this, the Blue Demons had multiple opportunities to capitalize on the offensive glass, grabbing a team-high 13 offensive rebounds compared to the Bulldogs’ 5 offensive rebounds. 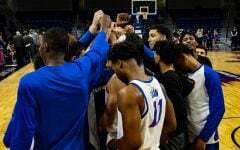 On the contrary of the Blue Demons’ struggles to put up points, the Bulldogs had a strong shooting performance and saw 51.1 percent of their shots go through the net. 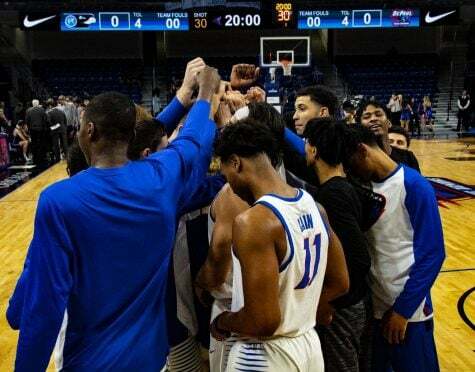 With the Bulldogs having the top 2 leading scorers in Big East conference play in Kelan Martin and Kamar Baldwin, scoring came a lot easier for an energetic Bulldogs squad. 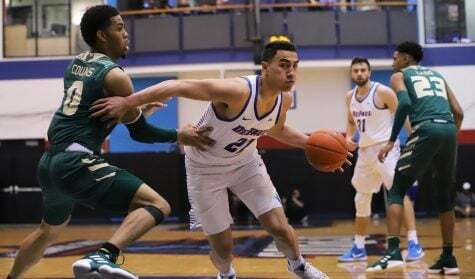 Aside from Martin and Baldwin being the leading scorers in conference play, they were also the leading scorers for the Bulldogs during the game and posed as an offensive threat for the Blue Demons’ defense. Martin, a 6-foot-7 senior who led the Bulldogs in both scoring and rebounding last season, was very efficient to say the least. 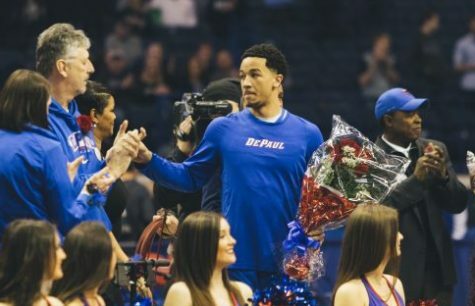 Ignoring a handful of obscenities being yelled at him from the Blue Demons’ student section, Martin put up 24 points on 7-of-15 shooting and 5 of his 7 made shots were 3-pointers to go alongside with 4 rebounds and 4 assists. Likewise, Baldwin was also efficient, as he scored 16 points on 5-of-6 shooting, knocked down all 8 of his free throw attempts and led the Bulldogs in the rebound category by way of grabbing 9 of them. Given that Baldwin is the second shortest player on the team at 6-foot-1, Butler head coach LaVall Jordan had nothing but high praise for his sophomore guard’s all-around contributions. “Offensively, he was just very very measured in what he was doing,” Jordan said. 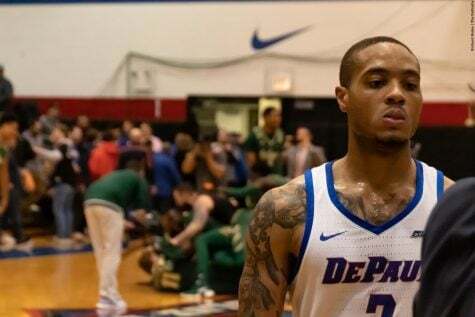 The Blue Demons definitely wish they had the firepower that the Bulldogs possess, but injuries to Devin Gage, Jaylen Butz and Marin Maric could keep their offense sidelined for some time to come. Eventually, the team needs to step it up or else the outlook of conference play could go downhill fast. 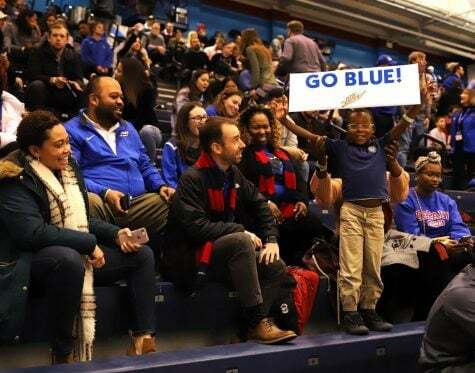 DePaul will be back in action Jan. 24 when they travel to Washington D.C. for their second match up with the Georgetown Hoyas.